My oldest son was a junior in high school when the standardized tests associated with No Child Left Behind were rolled out. One day, shortly before the exams, he asked me, "Why do we have to take these tests anyway?" I answered truthfully, "They're not evaluating you, they're evaluating your school." I found out later that with that information, he and his friends challenged each other to get the lowest scores possible. I sometimes use this story to illustrate broken feedback loops. It was nine months later before the scores had impact. When he returned to school the next fall he found he had been enrolled in remedial math despite aceing Pre-Calculus the previous year. He had to meet with the counselor to get into the right class. Today, however, I want to explore the theories of education reform that drove the deployment of these exams. There are three prominent theories of reform with a few variations. Most contemporary efforts to improve education are based on at least one of these. This is the primary theory represented by No Child Left Behind (NCLB). It's based on the broader theory that measuring something and reporting on those measurements will bring about improvement – especially if improvement is incentivized. It also represents the truism that if you don't measure something, you can't tell whether you've changed it for the better. In order to bring about accountability, NCLB requires states to define learning objectives for each year or grade. These objectives are commonly referred to as the state core standards and each U.S. state has its own set. Furthermore, any public school receiving federal funding must administer a state-wide standardized test to every student in grades 3-9 and at least once in grades 10-12. Student scores are compared with previous years' results to determine whether they have achieved Adequate Yearly Progress (AYP). Certain consequences are tied to individual schools' success or failure to achieve progress for all students. The core of the theory is this: If we set higher standards, measure against those standards and report performance then learning will improve. Unfortunately, 11 years into this experiment the quality of U.S. student learning is nearly flat. There are numerous criticisms of standards and testing; but my personal concern is that by themselves they are a blunt instrument. In the absence of a proven formula for improvement the result is a form of natural selection – schools that underperform are taken out (actually they "receive interventions") while better performers survive. Natural selection is proven to work but it takes many generations and a lot of the population are brutalized before measurable improvement occurs. Despite the lack of success, it's not time to abandon standards or accountability. Prior to 2002 most states didn't have well-defined core standards nor was student performance consistently measured. Now all states have standards, we are measuring regularly and 45 of the states have recently agreed to the Common Core State Standards. While standards and testing are inadequate remedies by themselves, they are important assets on which to build. Where the Standards and Accountability theory focuses on school improvement. This theory focuses on teacher improvement. It's certainly intuitive; most of us have had one or more great teachers and we know they make a big difference. It's also justified by the data. Studies confirm that teacher quality is an important factor in student achievement and that the variation in achievement between classes within the same school is greater than variation between schools. NCLB includes a mandate for states to supply highly qualified teachers to every student but it leaves it up to states to determine what it means to be highly qualified. And that turns out to be a problem. Studies show that certain teachers are consistently more effective than others; value added measures can identify which ones they are (albeit with a moderate error rate); but individual teachers often don't know what they need to do to improve. In raw form this becomes another application of natural selection. If we reward teachers who perform well and eliminate those who don't then eventually performance will improve – assuming we don't run out of teachers beforehand. But many generations will be required and a lot of brutal actions will be taken in the meantime. No wonder there's so much controversy around teacher evaluations being tied to wages and promotions. I'm actually in favor of merit pay for teachers so long as good quality performance measures are used. But those evaluations need to be deployed concurrently with professional development that informs teachers on how they are doing and what they can do to improve. Conveniently, resources are emerging to support that. For example, the Measures of Effective Teaching project used the Danielson Framework for Teaching to identify teacher behaviors that are well-correlated with student performance. These and similar frameworks can be used to inform teachers on how they can do better. Even so, effective teachers alone are not enough. In our current educational system, teachers account for approximately 8.5% of variation in student achievement. School-, teacher-, and class-level factors combined account for about 21%. Meanwhile, background characteristics such as race, parental achievement and family income combine to account for 60% of variation in achievement levels. So, if every teacher in the country was equivalent to our very best, it still wouldn't be enough to overcome the cycle of intergenerational poverty. To achieve that dream, we have to increase the influence school has over student achievement. That can be done by adapting the learning experience to the needs of individual students. There's a pattern to these theories: The Standards and School Accountability theory introduces the concept of measurement and uses it to assess whole schools. 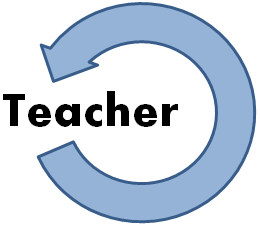 The Effective Teachers theory takes those same measures and applies them at the teacher level. 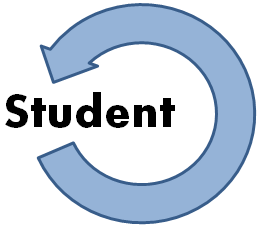 For this third theory, feedback is applied at the student level. Personalized learning leverages the same standards as the other theories. It can also incorporate the same measures. However, annual testing alone is insufficient for personalization. Instead, understanding is measured weekly, daily or, in the best adaptive learning systems, continuously. Measurement must happen soon enough and feedback given quickly enough to affect learning activities. A truly personalized system selects activities according to student needs and also adapts to student behavior within an activity. Bloom's Two Sigma experiments and the follow up work they inspired make me optimistic about Personalized Learning. These and other studies have shown that personalized learning experiences enabled by immediate feedback consistently deliver one to two standard deviations improvement in learning. We believe that is sufficient to overcome background factors thereby enabling a majority of students become high achievers. Personalized learning is the natural result of 1:1 tutoring which is why tutoring is so effective. To do personalized learning at classroom scale generally requires 1:1 computers and a role change for the teacher as she shifts from "deliverer of knowledge" to "facilitator of learning." As with the other theories, there's a lot of skepticism and resistance to change. But pilot deployments are showing great promise. School Choice attempts to bring competitive pressure for schools to perform better. In this way, it's a variation on the Standards and School Accountability theory. Like NCLB, School Choice needs standards to be set and school performance must be measured against those standards. Performance is reported to parents who are expected to make an informed choice of which school their students should attend. Since allocation of school funds is tied to enrollment, the theory is that schools seeking students will compete, not only on standards and their measures, but also on the basis of any other factor that's important to parents and students. School Choice efforts include charter schools, magnet schools and voucher programs. The idea is to give public and private schools more freedom to experiment thereby accelerating the identification of viable formulas for improved leaning. Studies have shown this to be the case as the average of charter school outcomes is similar to that of public schools while variation among charter schools is much greater. Therefore, some charter schools are substantially better and should be emulated while others are substantially worse and should be shut down or reorganized. It's exactly this kind of variety and freedom that school choice advocates seek. School choice can incorporate Highly Qualified Teachers and Personalized Learning. Indeed, since both of these theories have been shown to be effective, the expectation is that schools that incorporate these principles will be the best rated and will attract more students. The small classes movement is based on studies showing that students learn better in smaller classes – all other factors being equal. But other factors are not equal. Lowering the student:teacher ratio costs a lot of money and other factors such as teacher skill have a greater impact than class size. For example, when California mandated smaller classes they had to hire many more teachers. For at-risk populations, the impact of less-experienced teachers overcame the benefits of smaller classes resulting in lower performance instead of the expected improvement. The No Excuses model centers on maintaining high expectations for student performance without making excuses for external issues such as background, troubles at home and so forth. It's associated with charter management organizations such as KIPP and BES. Proponents emphasize pillars such as college expectations, culture of respect, voluntary participation and high discipline. They also have extended hours and extended school years. A key value is the whole school's commitment to each student's success. If a student is struggling or falling behind, they discover that early and engage counseling, tutoring and other supports to ensure the student succeeds. No Excuses engages all three theories, overall school performance is measured, they hire and train highly effective teachers and they adapt the learning environment to the needs of individual students, albeit most No Excuses schools do adaptation with limited use of technology. 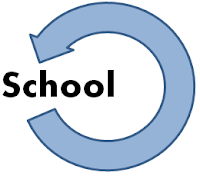 Over the last decade, No Excuses schools have demonstrated that background factors can, indeed, be overcome by a supportive school structure. On the other hand, their high reliance on supportive interventions sometimes leaves students underprepared for the independent learning discipline required in college. Recognizing this, No Excuses organizations are updating their practices to better train students to become independent learners. As with the variations listed here, most reform projects mix two or more of these theories. Even NCLB includes a mandate for Highly Qualified Teachers. Personalized Learning efforts are more common at charter schools than conventional public schools. Education Reform will remain an important part of our civic dialog for a long time. Unsurprisingly, it means different things to different people. For some it's a moral crusade. To those being asked or forced to reform it's more threatening. All too often arguments about reform neglect the research (which is abundant) and fail to fully express the theories on which they are based. That shouldn't be the case as there are decades worth of data and studies behind each of these theories – sufficient for advocates and policy makers to make informed decisions. The data tells those of us seeking to eliminate poverty that incremental improvement to existing schools is insufficient. Personalized learning with an eye toward training independent learners seems to be the most promising approach. Deploying this at scale requires whole-school changes to the way programs are funded, to the choices of curriculum and technology, and to the roles of educators.